Going out bowling with friends and family is classic entertainment that just doesn't get old! At Echo Lanes, we're keeping the tradition alive in Morris, IL featuring 20 lanes of bowling ready for you and your friends and family to have a fun, safe outing. No matter the weather, it's always a perfect time to go bowling! We have 20 lanes available for bowling, so odds are, we have a lane open for you! Put away your paper and pencil! We have a state-of-the-art visual scoring system. We have lanes equipped with bowling bumpers and ramps to make sure everyone can bowl! Book your next party at Echo Lanes and let us handle everything while you enjoy the fun! 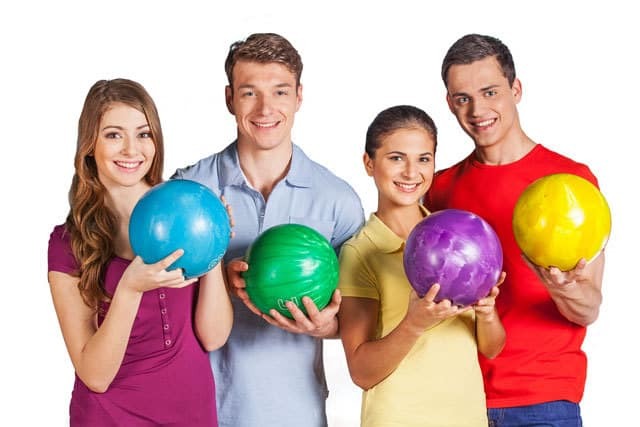 Take the bowling fun to the next level and join a league! Meet new friends, connect with old ones, and just have an excuse to go bowling. Join a league today! A Family entertainment center featuring 20 lanes of bowling, a 3000 sq ft state of the art laser tag arena, a game room with a modern selection of games (plus a few throw backs) as well as a lounge with gaming, and a snack bar with something to satisfy any craving!